Seasoned ground beef, sautéed sweet onions and shredded cheddar cheese top crispy, golden crinkle fries. Finished with a ladle of Knorr Beef Gravy. To serve, place 10 oz of fries on a plate. 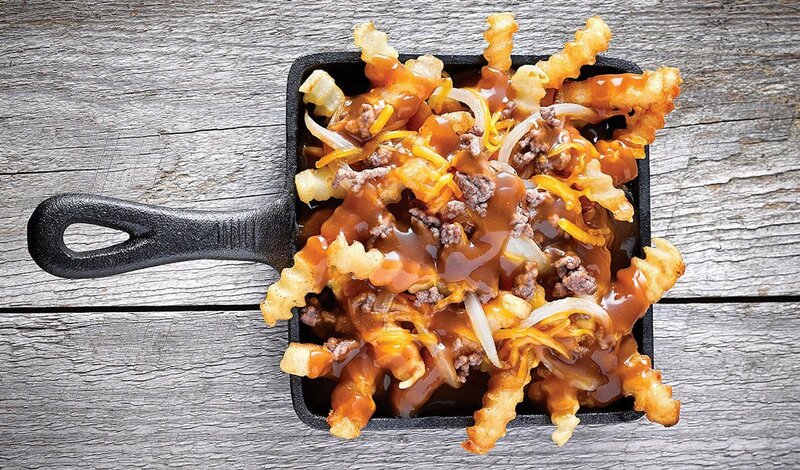 Ladle 2 oz of gravy over fries and top with 2 oz cheese, 1 oz onions and 2 oz beef. Finish the plate with another 2 oz of the gravy.